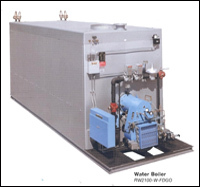 Flexible tube high efficiency 85%+ watertube type hot water and steam fossil fuel fired boilers, Electric boilers, 5000 – 300,000 lb/hr Deaerators and steam plant accessory equipment. 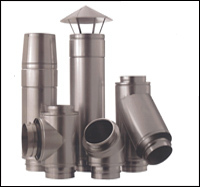 Vertical HE / PRO and WLF tubeless and Firetube type boilers, Electric boilers and steam plant accessory equipment. The Boiler Wizard: “The intelligent way to interface linkagless and or PID control of boilers and central plant equipment to building automation systems with”. 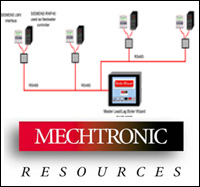 An HMI device for lead lag control and or staging and sequencing and control of central plant equipment. 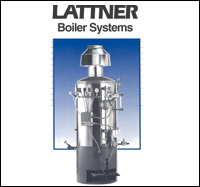 Reliable combustion solutions, linkagless, low NOX, and dual fuel firing. 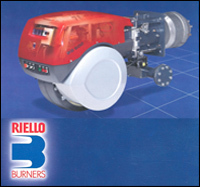 Riello burners operate at minimal excess air volumes resulting in high combustion efficiencies. With the Riello patented staged combustion and premix design NOx levels can be greatly reduced meeting most AQMD requirements. 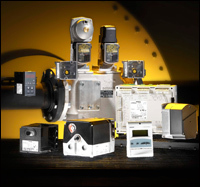 Combustion controls, Gas valves and Actuators, Linkagless burner management systems, temperature and pressure controls.